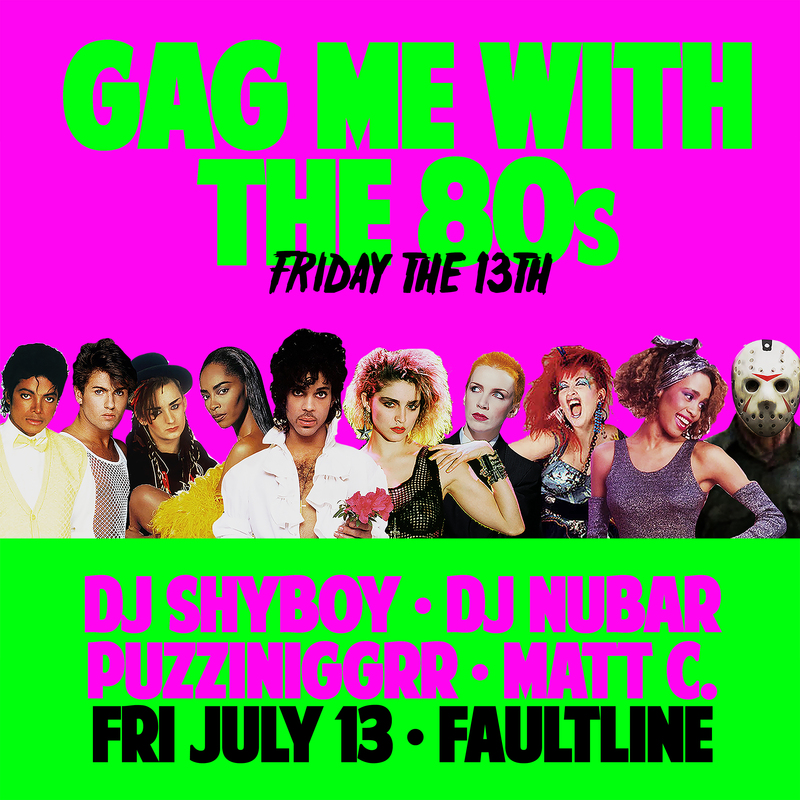 Faultline presents Gag Me with the 80s: Friday the 13th party! Come dance to the songs of iconic pop artists such as Boy George & Culture Club, Cyndi Lauper, Duran Duran, Eurythmics, George Michael, The Human League, Madonna, Michael Jackson, Prince, Whitney Houston, and many, many more! Pop hits, extended mixes, and deep cuts! Go-go hotness by Matt C.
Faultline presents Gag Me with the 80s! Come dance to the songs of iconic pop artists such as Boy George & Culture Club, Cyndi Lauper, Duran Duran, Eurythmics, George Michael, The Human League, Madonna, Michael Jackson, Prince, Whitney Houston, and many, many more! Pop hits, extended mixes, and deep cuts!